President Donald Trump is outpacing his leading Democratic challengers in campiagn fundraising for the 2020 elections, with a large portion of the money coming from small donations. 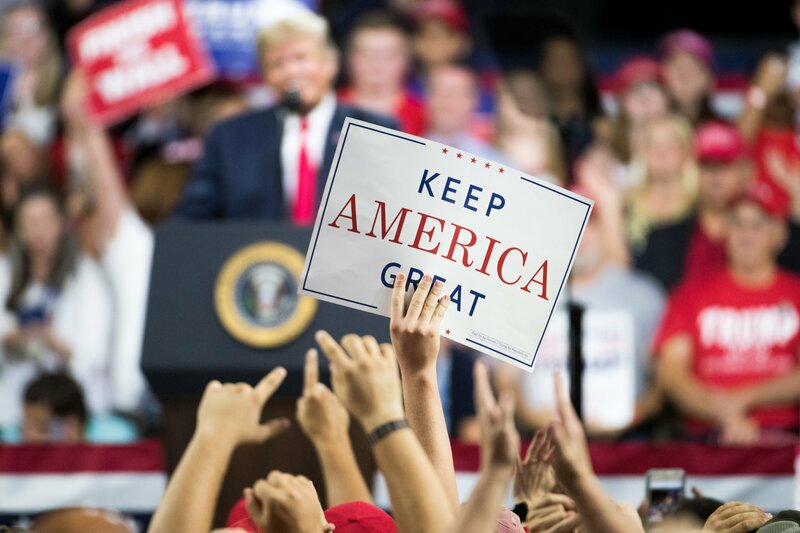 Trump’s re-election campaign said Sunday it had raised more than $30 million in the first quarter of 2019, Reuters reported, meaning the president’s campaign team has approximately $40.8 million to spend at this satage. Despite a turbulent first two years in the Oval Office, enough Republicans appear willing to invest in a second term for Trump, and his campaign has raised about the same amount as his two leading Democratic challengers combined in the first quarter. Vermont Senator Bernie Sanders and California Senator Kamala Harris have thus far been leading the Democratic fundraising efforts for 2020. Sanders—who was pipped to the party nomination for the 2016 presidential race—has raised $18.2 million in the first quarter of 2019. Harris is a little way behind with around $12 million, Reuters explained. Even more encouraging for the Trump campaign is that most of the donations are small amounts, suggesting the president will not be solely reliant on contributions from wealthy individuals, corporations and super PACs. Republican candidates have generally trailed Democrats in small-scale—and particularly online—fundraising efforts, Bloomberg reported. As such, the Trump campaign’s figures will encourage the party that it is closing the gap. The campaign said the average donation during the first quarter of 2019 was $34.26 and that 99 percent of all donations were of $200 or less. This is slightly higher than the average donation to the Sanders campaign, which was $20 in the first quarter of this year. The Republican National Committee is running a parallel fundraising effort for the president. The organization has secured an additional $45.8 million in the first quarter of 2019, the Associated Press noted. This is a non-election year best for the organization, and brings the total Trump re-election warchest to more than $80 million. Trump’s 2020 re-election campaign began within hours of him being sworn in for his first term in January 2017—far earlier than any former incumbent. The campaign has set a $1 billion target for 2020. Former President Barack Obama launched his 2012 re-election campaign in April 2011. He had received just $2 million by this point in his campaign, though went on to secure more than $720 million in contributions, AP noted.